Receive FREE item! 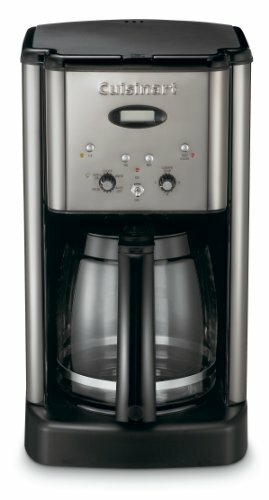 Get a Cuisinart Coffee Grinder by mail when you spend $79.00 or more on a Cuisinart Coffeemaker. Click the rebate link above or search keyword "REBATE" to print your mail-in rebate form. Limit one per customer. Offer good on purchases from January 1, 2018 to July 31, 2018. 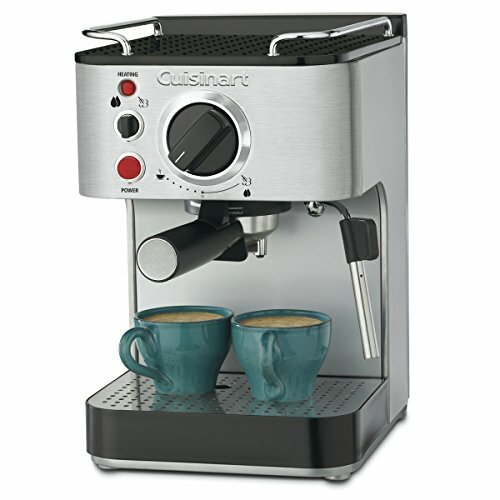 Enjoy a cup of coffee even before the machine finishes brewing it with Brew Pause technology from Cuisinart. 60-second reset recalls where the unit left off in the brewing process. Features a classic design with stainless steel and black accents. Imagine a cup of your favorite espresso, cappuccino or latte hot, rich, fresh and flavorful anytime you want it. 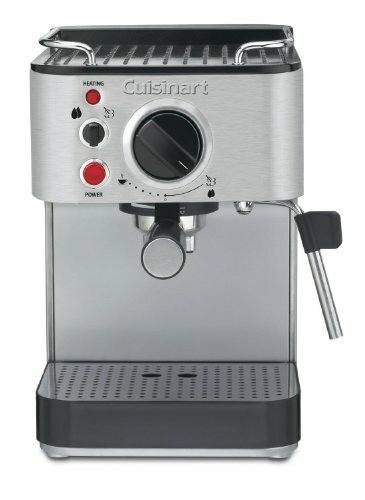 The stainless steel Cuisinart Espresso Maker is the real thing and looks like the professional it is. 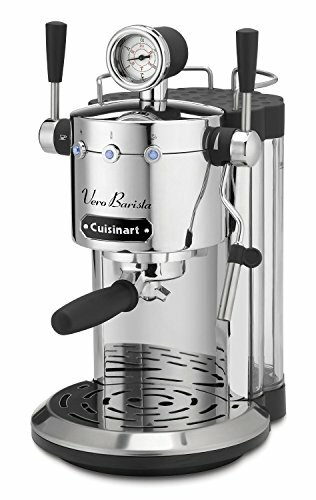 Make espresso in your own kitchen, then use the stainless steam nozzle and frothing cup to turn it into cappuccino or latte. You can even heat the cups on the warming plate on top, just like the pros! 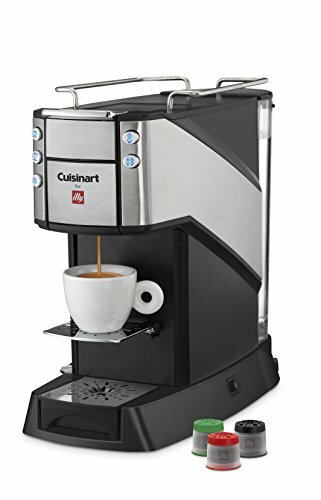 The Cuisinart Buona Tazza Single Serve Espresso and Coffee Machine makes extraordinary espresso and freshly brewed coffee at the touch of a button. Created exclusively for the illy Espresso capsule system, the unit offers dual temperatures and adjustable coffee flavor strength. 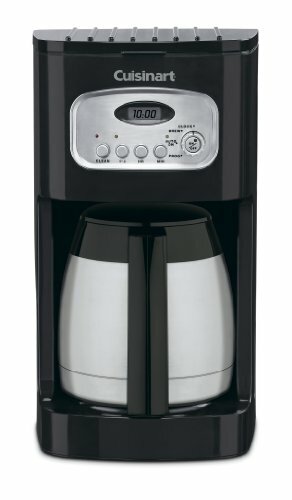 The versatile machine accommodates three cup sizes: Flip-up tray and removable drip tray let you brew directly into demitasse, regular, or tall travel mugs. Designed to brew perfect espresso and traditional coffee – every day! 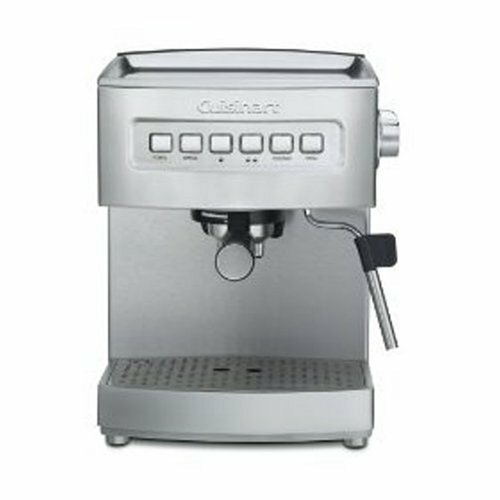 • 5 Blue LED Controls for single or double espresso, traditional coffee, manual flavor strength, hotter temperature settings. • 19 Bars of Pressure • Stay-Clean Brew Head exclusively designed for sealed illy Espresso capsules. 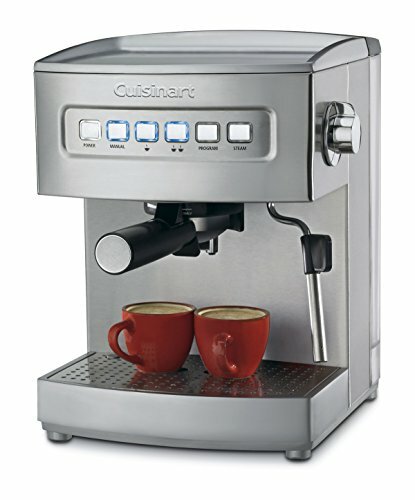 • Removable 1-liter/34-ounce Water Reservoir for up to 20 short espressos. • Used-Capsule Container catches and stores up to 10 capsules. • Cup Tray flips down for demitasse cups, folds up to accommodate larger cups. • Removable Drip Tray lifts off to fit tall coffee and travel mugs and makes cleanup easy. • Cup Warming Plate • Power Button with energy saver and auto shutoff modes.